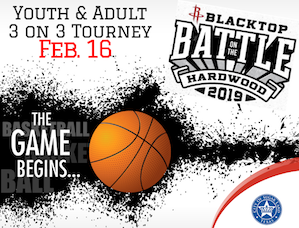 The HoustonRockets and the IPRC are hosting a FREE 3 on 3 basketball tournament on Saturday, Feb. 16. Divisions start at 10 years-old. Winners get a free entry to the 2019 Main tourney.